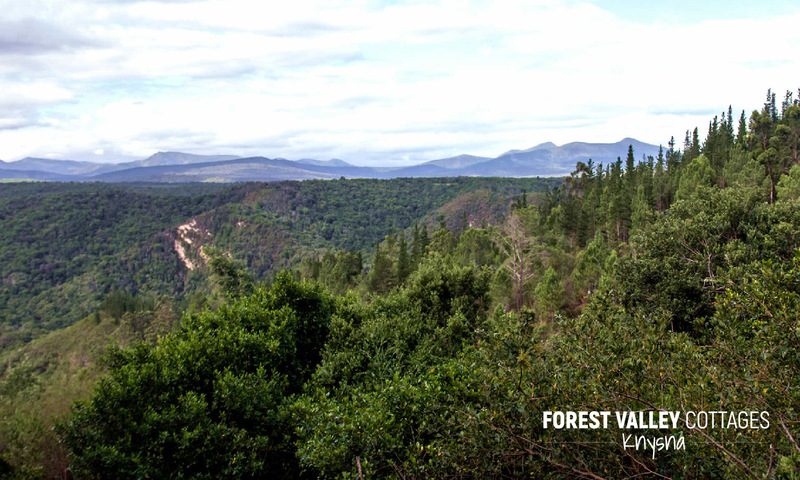 Each Forest Valley cottage has unrivaled views of the breath-taking Knysna forest and surrounding Outeniqua mountain range. Guests have a choice between 7 self-catering romantic hideaways, all valley facing and perfectly equipped with your privacy and comfort in mind. A daily housekeeping service is provided allowing you to truly kick back and simply enjoy the natural beauty of the area. Whether you are on a tourist, family or romantic visit, our hide-away cottages are sure to please. All are valley facing and perfectly equipped for privacy and comfort.